The posterior tibial tendon runs along the inside of the ankle and attaches the tibialis posterior muscle (located at the back of the lower leg) to the foot bones in 3 different locations. 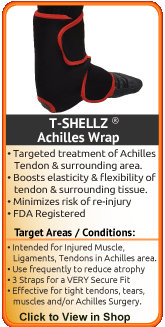 The tendon assists in supporting the arch of the foot and helps to prevent your foot from rolling. 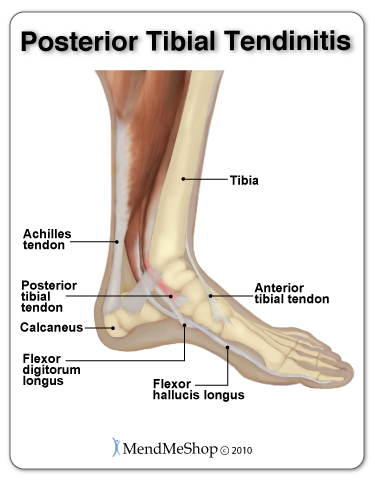 Posterior tibial tendonitis (also known as tendinitis of the foot) is a common overuse injury that affects the inside arch of the foot that causes inflammation in the tendon. The inflammation can be caused by irritation and tiny tears in the posterior tibial tendon over time (referred to as chronic tendonitis) or due to an immediate traumatic strain or tear (referred to as acute tendonitis). An unsteady gait (instability in the foot). 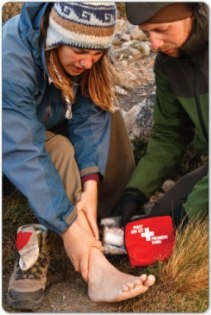 Shooting, stabbing or burning pain along the in-step of the foot and up the inside of the ankle. Intense pain in the arch of the foot when standing on tip toes. 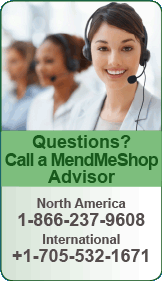 People who have diabetes, are overweight, or are hypertensive. 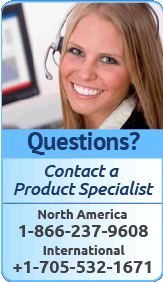 People who play sports or do activities that involve repetitive ankle movements. People who participate in activities such as running on uneven surfaces, racket sports, basketball, hiking, volleyball or other sports where rolling the ankle is common. 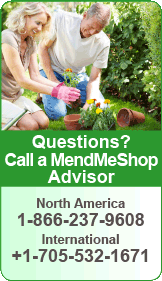 Elderly people due to tendons losing elasticity with age and becoming brittle. The best way to treat posterior tibial tendonitis is to rest the area, especially avoiding the particular activity that produced the condition. If the strain was minor, the body should be able to heal the tendon fibers normally. Unfortunately, this is not the usual result, due to the injured tendon being used instead of rested. The body heals the injured posterior tibial tendon fibers by binding them together with fibrotic adhesions, or scar tissue. This is a normal, protective response of the body, done in an attempt to prevent further damage to the injured area. Unfortunately, this leads to inflexibility in the knee and possibly chronic knee problems. 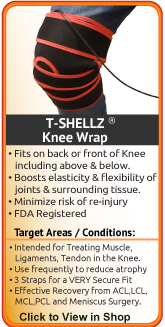 After the inflammation and swelling around your ankle is gone, you can begin to treat the area with a highly configurable Sesamoid T•Shellz Wrap® (DTR Therapy). This treatment increases the amount of blood that flows naturally to your ankle to nourish muscles, tendons, and ligaments which naturally boosts the bodys own healing rate. In addition, this increased blood flow will help whisk away dead cells and toxins that have built up from the soft tissue damage. 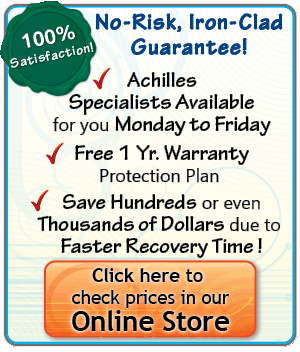 During your recovery, you will probably have to modify and/or eliminate any activities that cause pain or discomfort in your ankle until your pain and inflammation settle. Taking the time to care for your ankle properly will have your ankle back to normal faster and allow you to get back to the activities you enjoy. 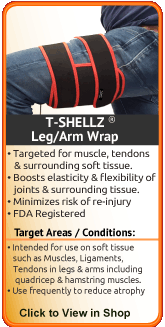 The best option we came across in our research to accomplish faster healing of soft tissue injuries in the ankle is the Sesamoid T•Shellz Wrap®. Use of this device results in a significant increase in blood flow to the injured tissues located deeper within the body - all in a non-invasive manner. 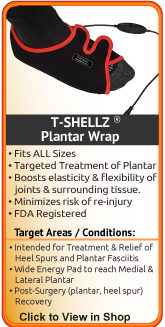 Further to this, the wrap is highly configurable and can be worn on the sides, top or bottom of foot (targeted treatment). Have you seen what happens when you add water to a flower wilted from drought? In essence, your injured heel is much like a "wilted" flower; your body wants to heal its injury, but needs lots of nutrients to do it. Blood brings new life to your cells by delivering healing nutrients and oxygen that are vital to your tissue. In addition, the blood carries away toxins and cellular waste cleaning the area and healing it faster. Without a good supply of blood, your ankle simply won't heal as quickly, opening it up to greater risk of re-injury and/or tendonosis. The more diligent you are with your treatment and rehabilitation, the faster you will see successful results! With these simple therapies you will notice incredible results in your ankle. 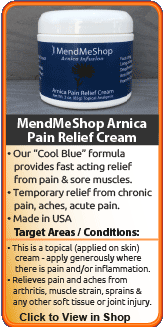 Visit your doctor and/or physiotherapist before using any of our outstanding products, to make sure they're right for you and your condition.